PSG, three days after his slap Guingamp, got up in Amiens (3-0), Saturday in Ligue 1, and flies away for four days of training in Qatar cases lightened doubts. 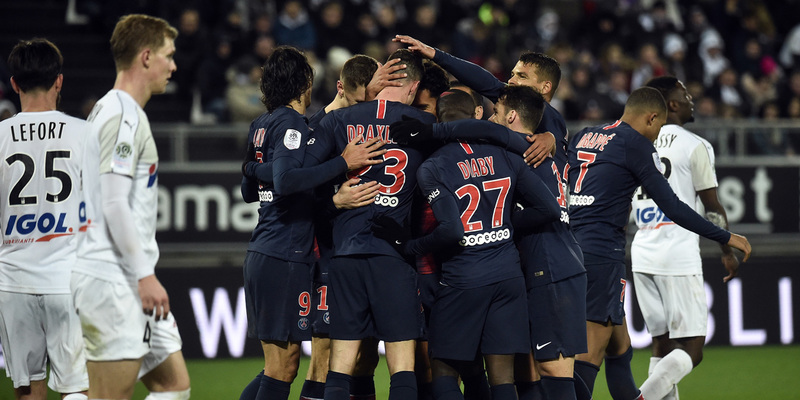 It took the help of midfielder Alexis Blin, who gave Edinson Cavani the penalty that unlocked everything (57th), so that the PSG cleans his honor gnawed by the surprise elimination in the quarterfinals of the League Cup, and maintain its overwhelming dominance in the league. Two shots of fate in favor of PSG. Long unimaginative to circumvent the line of five friendly defenders in front of their penalty area, especially in the first period, the PSG was able to get out of the rut with two shots of fate. First the hand of Blin, who wanted to counter a strike from Angel di Maria, which allowed Cavani to open the scoring. Then the logical expulsion of Khaled Adenon (66th) who ended up totally weakening the Amiens bloc. Mbappé, against for his 14th goal of the season in L1, (70th) and Marquinhos (79th) have increased the bill in a late freewheeling match. Paris can fly to Qatar on Sunday with a more serene spirit.